If you know me, you probably know that the greatest passions of my life are baseball, God and family – not in that order. So, with Opening Day upon us, my thoughts have once again turned to baseball. If you have been following this blog for a long-time, what follows is something you may have seen before. But this time of year, I wanted to share it again. Fortune smiled and I was able to move back to Southwestern Ohio. For several years I could look out from the building in downtown Cincinnati I worked in and gaze across at Riverfront Stadium, that place I went to as a youth to see men named Morgan, Rose, Bench, Perez, Foster, Griffey, Concpecion, Geronimo, Gullet and others. Sometimes at lunch I would walk around the stadium and I could almost hear the cheers of days gone by. 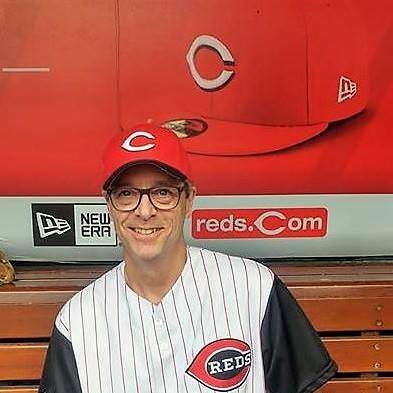 I was able to see Great American Ballpark rise up and take form and have seen Larkin, Casey, Griffey Jr., Votto, Phillips, Suarez, Lorenzen and Gennett build the memories of a new era. This entry was posted in Uncategorized on March 26, 2019 by Leonard.